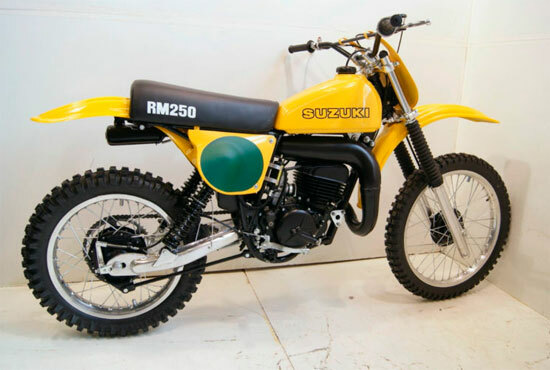 This is an extremely nice, meticulously restored 1978.5 Suzuki RM250. This bike is a very special restoration with a lot of time given to each and every part, nut, bolt, washer, etc. Everything on this bike is New, OEM, NOS, Painted, Chrome Plated, Zinc Plated or Polished Beautifully. All aluminum has been polished to a low-luster satin finish which looks more fitting on an MX. The paint is hand polished and has no clear coat, again more fitting. The factory rear shocks have been completely rebuilt with new seal heads and recharged. The engine is clean as a pin inside and out. No cracks, broken bosses or broken fins anywhere. It’s been rebuilt with new crank bearings, seals and a fresh first over Wiseco piston kit. The engine starts and runs as good as it looks. It shifts through all gears smoothly. The pipe is super nice with no dents, dings, or scratches. The swingarm has no dents, dings, or scratches. This bike is exceptionally nice. Bid with confidence, I have restored almost three hundred bikes with happy customers all over the world. If you are a collector and have wanted one of these then this is your bike. I could go on and on about this bike but looking at the pictures pretty much tells the tale. This bike comes with a Bill of Sale. Add me to your favorite sellers for perhaps more upcoming project bikes later this year. Now for the bidding and shipping instructions: I have no plans on ending this auction early. If you win the auction, I will email you after the “End of Auction” notice. After that I would like to talk over arrangements by phone within 24 hours. As always, Ask questions if you like. Sold as is. I can have this bike shipped to your door with a carrier for around $300 – $600 here in the lower 48, depending upon the area you live. You can also get personal quotes from carriers of your choice or try uship for quotes. International buyers must arrange shipping themselves. There will also be a $100 overseas crating fee, which is just about the cost for the lumber. Please check with freight forwarders in your area for quotes. For your quotes, the bike will originate from zip code 63070 and go through a St Louis Missouri USA dock of their choice. 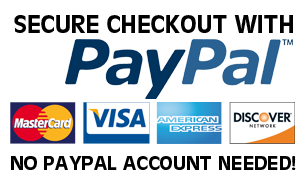 Payment is due within 7 days from the close of auction.